Prenup shoots can be daunting for a couple. 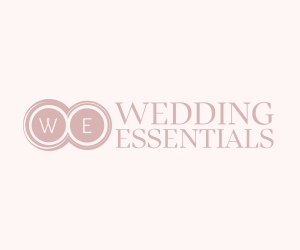 In most cases, couples stress themselves and spend so much time conceptualizing or second-guessing themselves on what theme to go with. 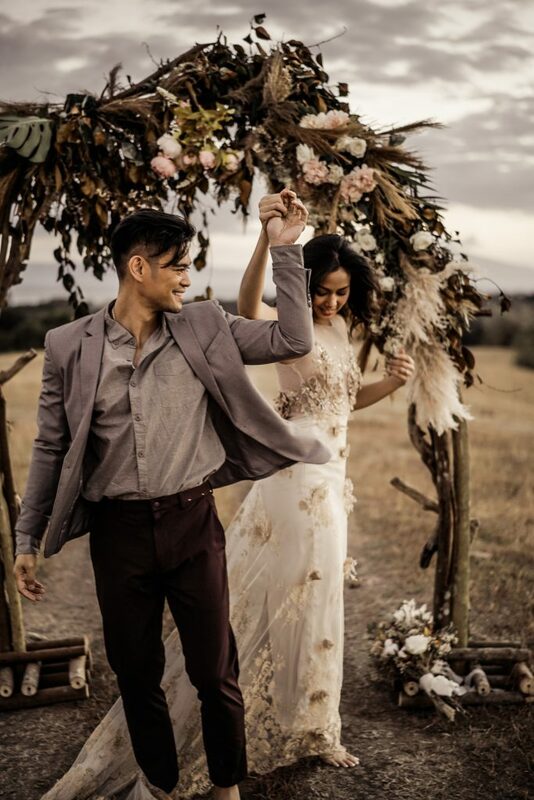 Such was not the case with R&B royalty Jay R and his fiancé, actress Mica Javier, when they pulled off what could be the most beautiful, spontaneous prenup shoot. 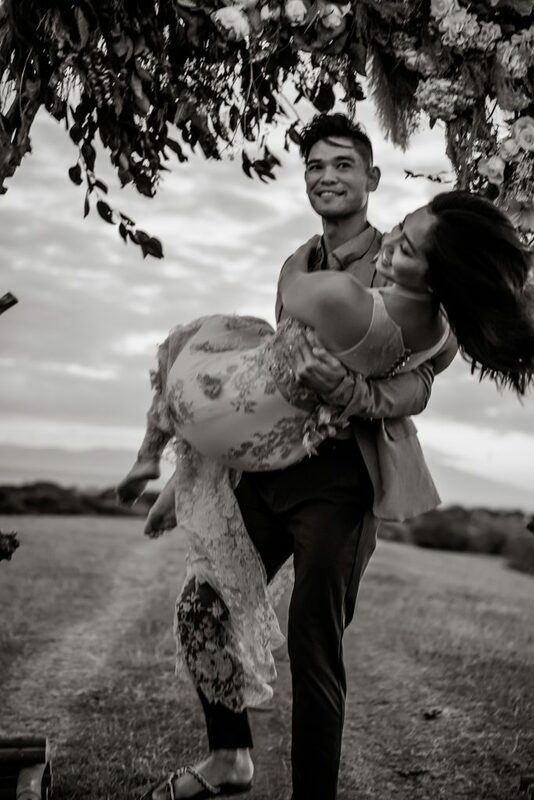 Mica relates that arranging the prenup shoot was a spur of the moment decision. 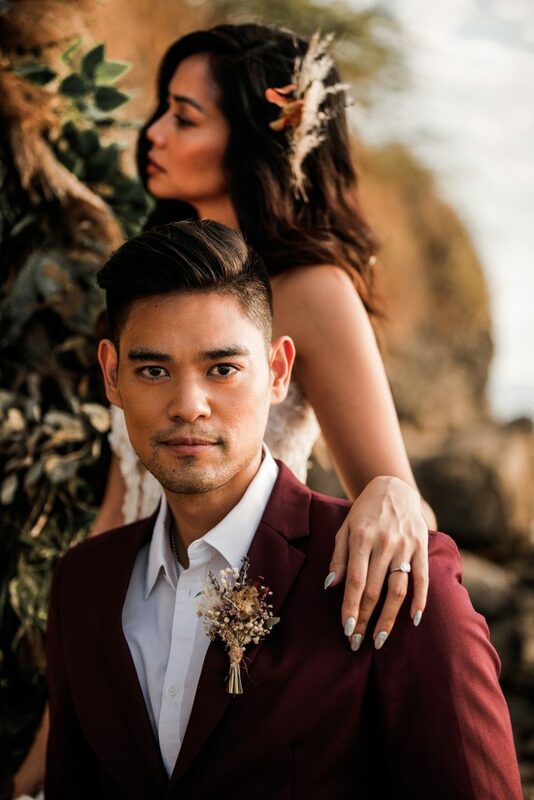 She chose to collaborate with MangoRed Studios to help execute her vision for a shoot that would capture their vibe as a couple. The fast-paced guerilla-style shoot added to the cinematic quality of the final product. “We shot so much, so fast. 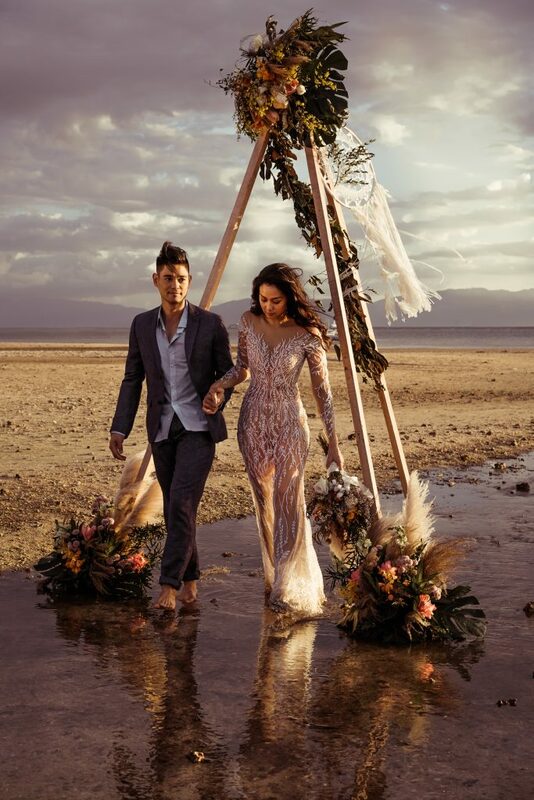 It was like magic and it was so fun.” The raw and rugged seascape provided a great contrast to the ethereal frocks by Patricia Santos and Julianne Syjuco that Mica chose to wear for the shoot. JayR, on the other hand, donned a deep garnet and gray suit. 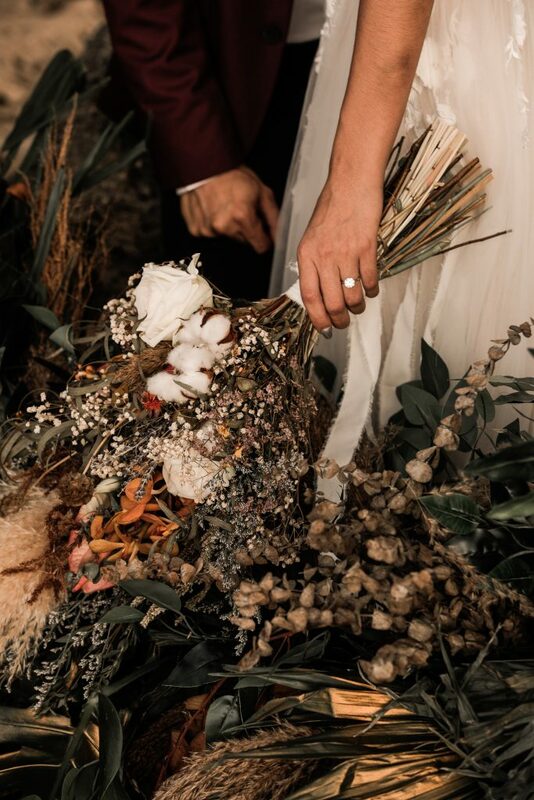 Il Fiore Flower Boutique provided floral wreaths and decor that were used for the beach setting adding to the editorial appeal of the theme. Like stills from a movie or a music video, their photos not only capture but also celebrate movements. In a number of frames, they were photographed dancing. Jay R and Mica describe themselves as easy-going, adventure loving personalities. Being part of the entertainment industry for quite some time and having participated in countless music video shoots together has sharpened their eye for creativity and curating art through sounds and visuals. 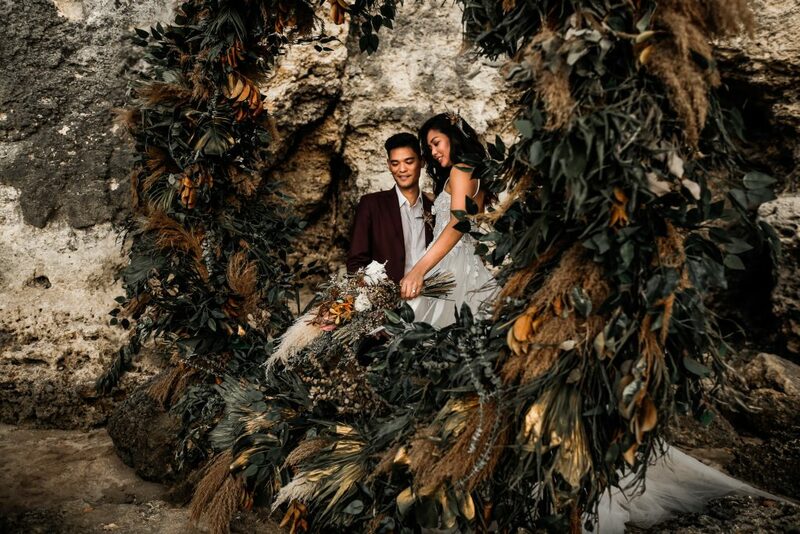 Their prenup shoot reflects their free-spirited nature. 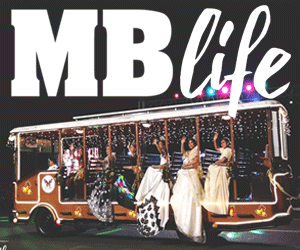 The behind-the-scenes experience of changing inside a van, running around barefoot and encountering hospitable individuals willing to open their doors for the shoot made the whole thing more memorable.